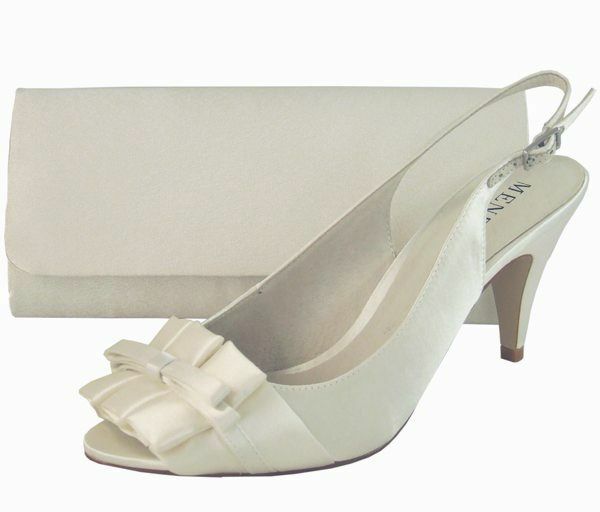 Simple elegant peep toe shoe in ivory satin by Menbur, Spain. 3" satin covered heel, leather lined & padded insole. Matching clutch bags available. Also available in stone.